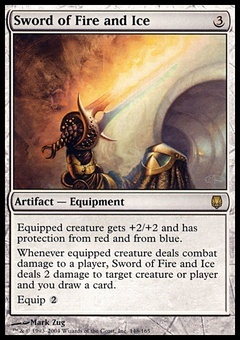 Guardian Project ($0.87) Price History from major stores - Ravnica Allegiance - MTGPrice.com Values for Ebay, Amazon and hobby stores! 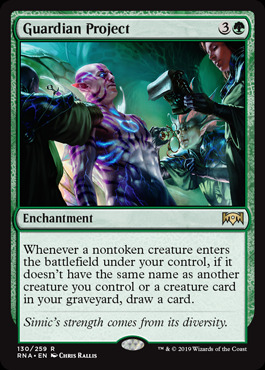 Card Text: Whenever a nontoken creature enters the battlefield under your control, if it doesn't have the same name as another creature you control or a creature card in your graveyard, draw a card. Flavor Text: Simic's strength comes from its diversity.